Merci Maman is the perfect place to get your Personalized Gifts this holiday season. No matter who it is for, they will love Merci Maman. I gave my mother in law a necklace, with my son’s name, and she adores it. He is her only grandchild, so she adores the necklace. She wears it everywhere, for everything. She doesn’t even take it off to shower. She’s had it for two weeks, and it’s still looking bright and brilliant. 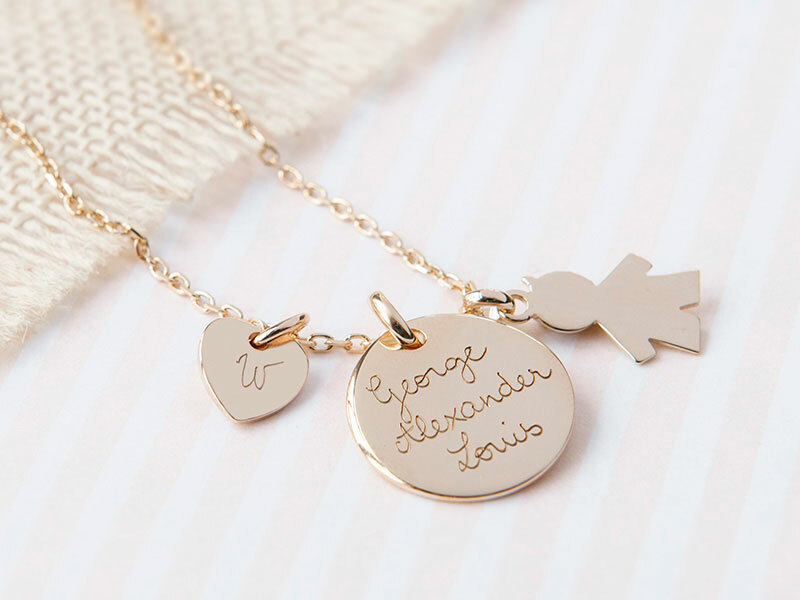 I will definitely be getting my daughter a necklace from Merci Maman, as soon as she has a baby, which hopefully won’t be for awhile. But, this is a beautiful keepsake. 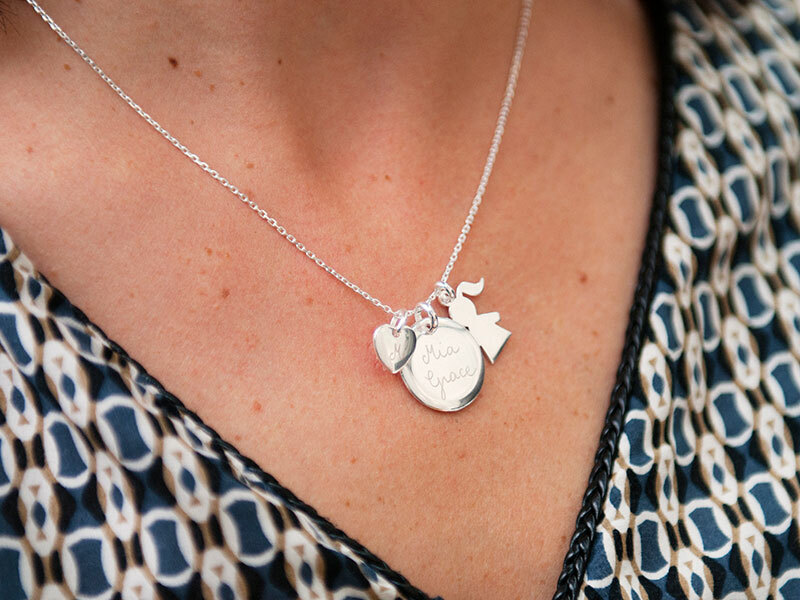 It will last forever, and you can wear your child’s name close to your heart. 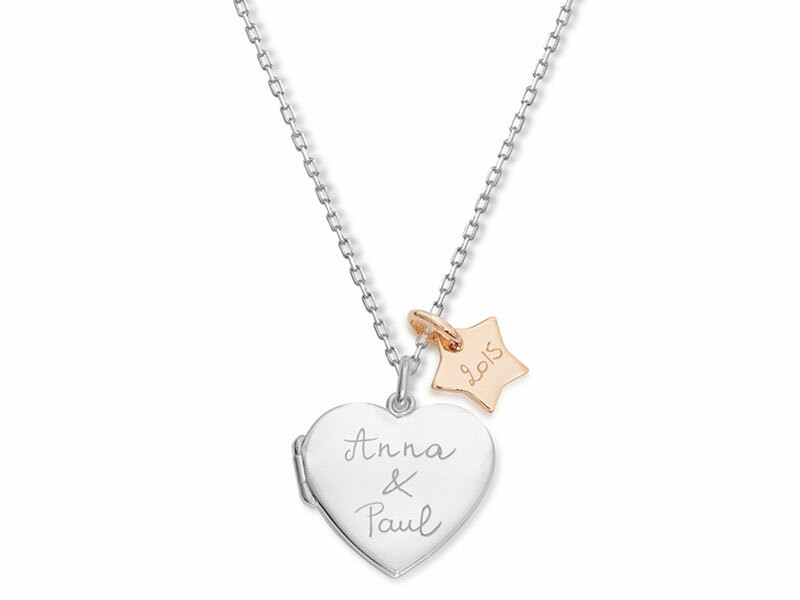 Create now your own charm necklace engraved with your child’s name. This necklace is also available with a little girl charm, in sterling silver and on a shorter chain, giving you the option to replicate the Duchess’s necklace or order your own variation of it. Which necklace do you love? Check out more at Merci Maman, the website is listed below. Next Article Sears #BlackFriday Deals and a $100 Sears Gift Card Giveaway!